I made this cool shaker card yesterday. I saw one on Kathy's desk and I had to make one. It isn't a normal shaker card because the middle that holds in the shaker stuff is organdy material, not a baggie or acetate sheet. It is super cool. Easy card to make but takes a while because there is a lot of steps. The card is a tri fold and is made out of double sided 12 x 12 paper. So first cut the paper 5 1/2 by 12 then score at 4 and 8. You might have to cut a thin strip off of one end so that it will close smoothly. 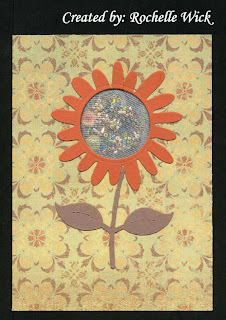 The flower and leaves are a sizzix die cut. 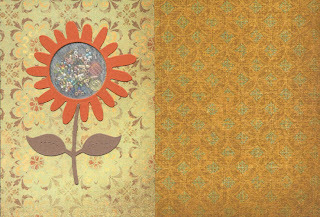 You will have to make two of each because the same image that is on the front is also on the reverse side inside the card, like this picture. The scanner messes up the colors a little on this but in real life it matches perfect and looks real good. After you cut out your die cut, you need to cut a circle out of the front of the card and the inside flap. For that I folded the card so and used a small circle nestabilities. Don't put the back flap of the card through or you will have a hole in the back of your card. The die cut flower we used didn't have the big hole inside either so we ran that through the cuttlebug with the same circle nestabilities so the would be the same size. 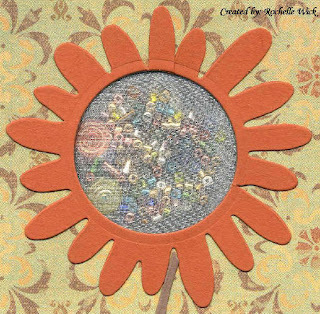 After you have your circles cut, you can adhere the flower and stem to the front and inside of the card. 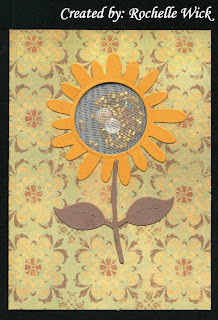 The card will still open three ways so on the opposite sides of the flowers, put tacky tape around the circle to hold down the material. Then you take a piece of organdy material (purchased at JoAnn's) and fold it in half and place one part on the tacky tape. You then put tacky tape around the circle on top of the material. Then put in what ever you want to "shake" remove the red line from the tape and fold the material over so it makes a pouch of shaker stuff. Then after the "shaker pouch" is secure, you can adhere the front cover to the inside so that it will open like a regular card. If it sounds kind of confusing, sorry, I should have taken pictures while I was making it. It was super easy to make there is just a lot of steps and it takes a while. But it is so worth it cause it looks super cool. what a great idea! I love the material in the center of the flower and I love the fact that it is two sided! Definitely going to case this one! Thanks again for sharing! Your card is lovely! 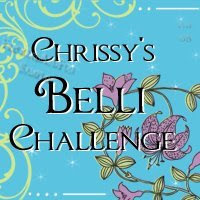 I so enjoy visiting your blog; keep up the great work! I love the sunflower on the front with the shaker in the middle. Great job!! You are fabulous, love this idea !! !